For some reason it records the fruit two people have eaten over the last few days. I guess someone might want to! 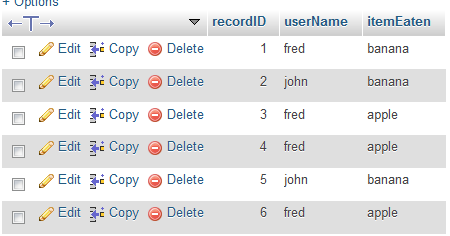 Now change the query by adding the word DISTINCT before userName. Now you only see unique entries in the table so you know who has ever eaten what. If you want to check for unique entries in just one field remove the other fields from the list in the query. 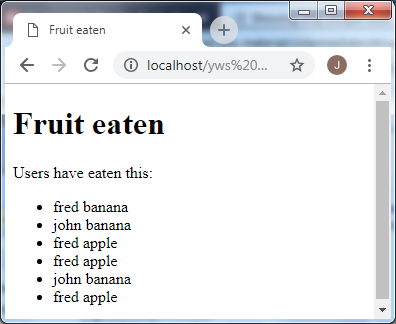 You could do this to list all users who have logged in recently (or in this case who have eaten fruit).